The best-selling science book ever published in the English language, COSMOS is a magnificent overview of the past, present, and future of science. Brilliant and provocative, it traces today's knowledge and scientific methods to their historical roots, blending science and philosophy in a wholly energetic and irresistible way. Carl Sagan was the David Duncan Professor of Astronomy and Space Sciences and Director of the Laboratory for Planetary Studies at Cornell University; Distinguished Visiting Scientist at the Jet Propulsion Laboratory, California Institute of Technology; and the cofounder and President of the Planetary Society, the largest space-interest group in the world. For the National Aeronautics and Space Administration, he was an adviser on the Mariner, Voyager, and Viking unmanned space missions, and he briefed astronauts for journeys to the moon. His Peabody Award-winning public television series, Cosmos, has been seen by more than 500 million people in over sixty countries, and the accompanying book spent seventy weeks on The New York Times bestseller list. 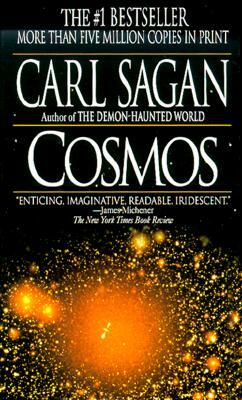 The author of thirty books, Sagan was awarded the Pulitzer Prize for The Dragons of Eden: Speculations on the Evolution of Human Intelligence in 1978, and his novel Contact, is now a major motion picture. In their posthumous award to Dr. Sagan of their highest honor, the National Science Foundation declared that his research transformed planetary science ... his gifts to mankind were infinite. "From the Hardcover edition."